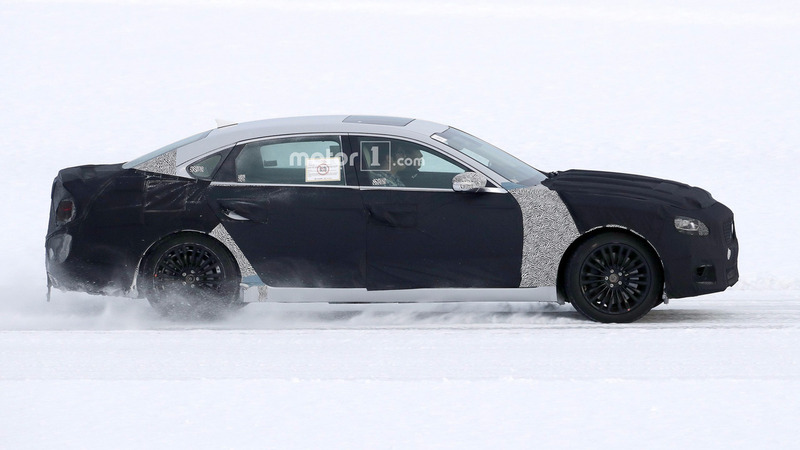 The luxury sedan was caught in northern Scandinavia and it seemed to have the production body. 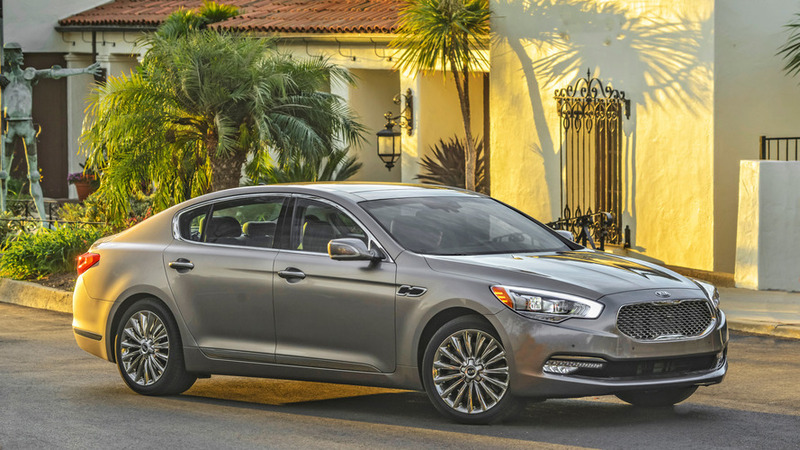 The Kia K900 (aka "Quoris" or "K9") has been around since May 2012 if we consider its market launch at home in South Korea where the luxobarge is manufactured at the plant in Gwangmyeong, a city in the Gyeonggi Province. 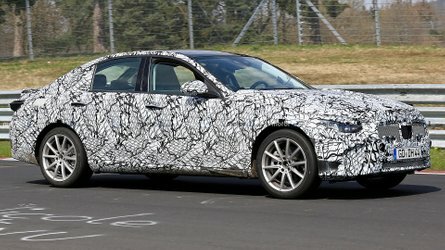 These spy shots are showing Kia is already testing the next generation of its large sedan and it appears to be in an advanced phase taking into account the prototype seems to be hiding the production body. You would be tempted to say it’s a Genesis model judging by the design of the grille, but have a look at the upper section of the windscreen and you’ll immediately identify it as a Kia. 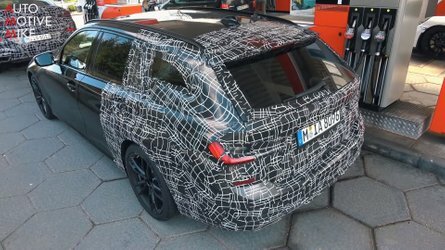 We know for sure it’s the next generation rather than a facelift of the current car because the side profile has changed. 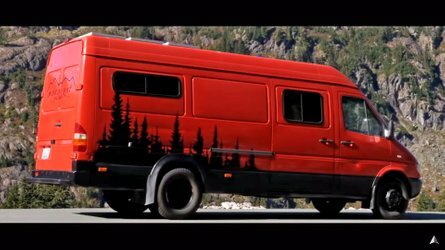 The rear quarter window has been moved aft the C-pillar and as a consequence the glass of the rear doors has been reshaped as well. 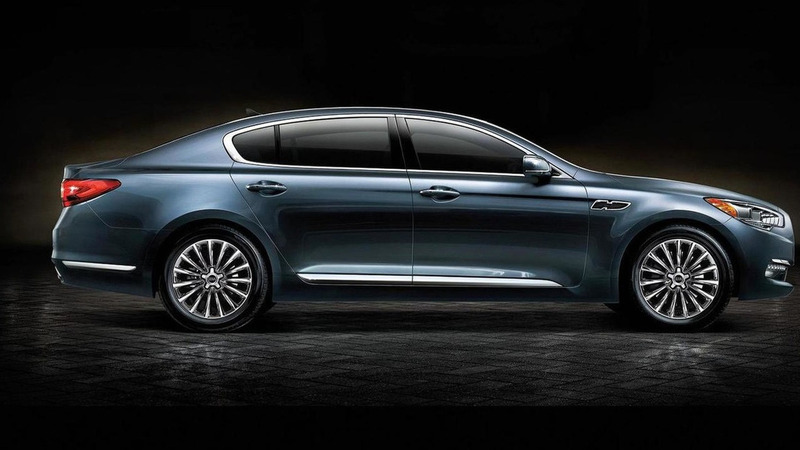 This might mean Kia is making its K900 a tad longer by stretching its wheelbase to free up more space inside the cabin for the rear passengers. Both the front and rear were heavily masked, but even so if you look closely you’ll notice the headlights and taillights are different than those of the current model. 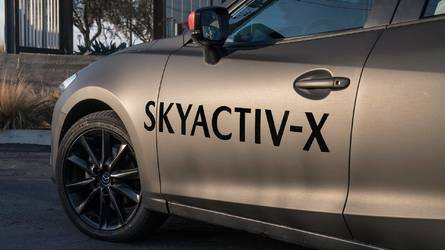 The ornaments in the front fenders are not visible on this prototype, so Kia has either decided to remove them altogether or this test vehicle simply did not have them. 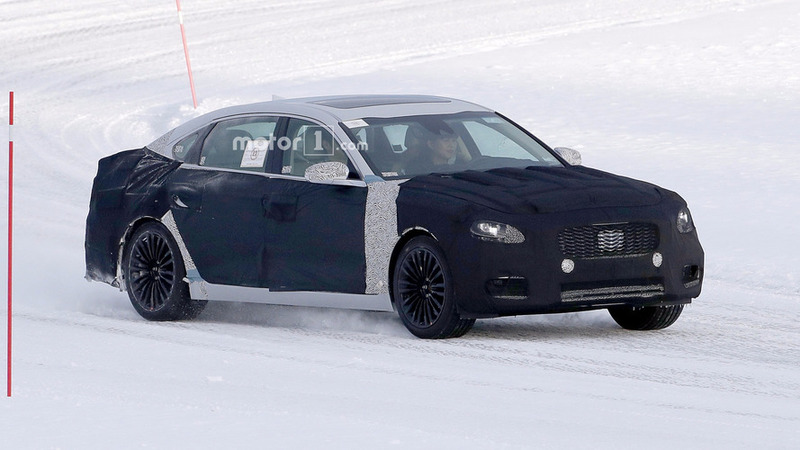 It’s unclear at this point when the next-gen K900 will come out, although we might see it debut late this year or early 2018 in its domestic market where it’s known as the "K9." 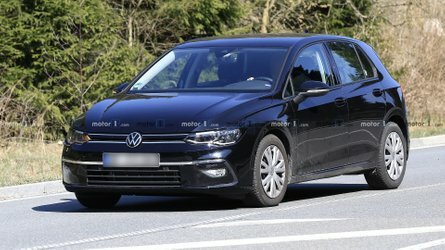 The U.S-spec version is probably slated for an official launch at some point next year as a 2019MY. 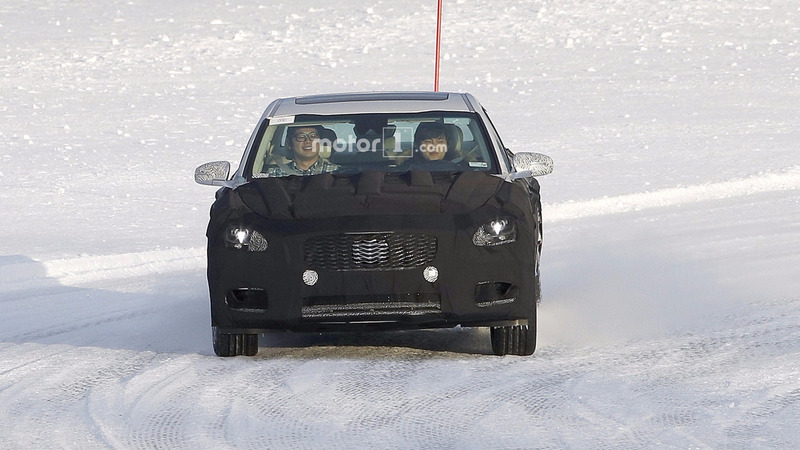 Meanwhile, expect a lot more spy shots in the coming months and hopefully Kia will be kind enough to remove some of the camo.